Dec. 21, 2017 - Following FPInnovations and Laval University’s industrial NSERC Chair recommendations, Alberta Transportation recently changed its Winter Weight Premium (WWP) policy allowing an estimated average of 8 days of WWP extension. 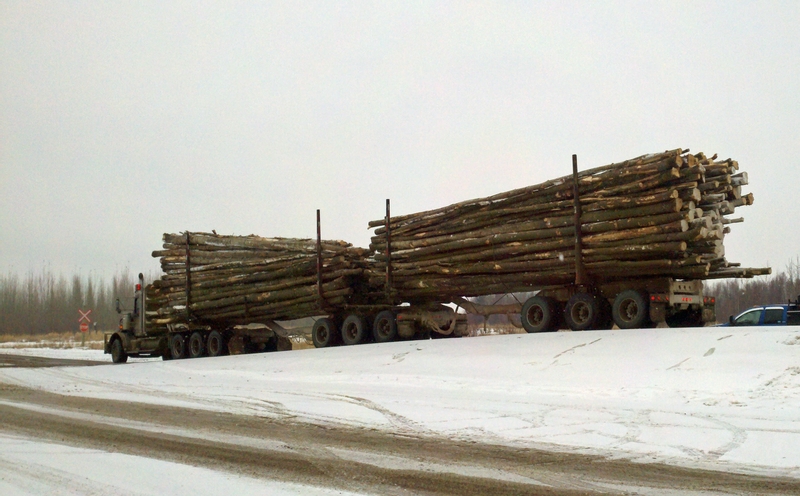 In Alberta, one of five Canadian provinces to allow premium weights for log hauling and equipment transport (heavy hauling) during the winter, the onset of the WWP season traditionally started when local frost depths reach 1.0 m. Thanks to the recent policy change, it will now start at a frost depth of 0.750 m and end at a thaw depth of 25 cm. This change will also result in more than $2.0 million in savings for the forest sector annually alone. Other benefits include an estimated reduction in pavement maintenance costs of $1.4 million annually and the operation of fewer trucks on the road for the same total volume (safer, reduced greenhouse gases). It will also benefit to other industries hauling heavy loads. This win-win policy change is a result of several years of research and more importantly, collaboration between FPInnovations, Alberta Transportation, and Academia. “The key ingredients here were the identification of a true industry need and collaboration between all parties towards a science-based outcome with tangible benefits to our members and the forest sector,” FPInnovations’ executive vice-president Trevor Stuthridge said. FPInnovations teamed up with Laval University’s industrial NSERC Chair on the interaction between Climate, Pavements and Loads (I3C Chair), led by Professor Guy Doré. In their state-of-the-art, full-scale loading simulator, Doré’s team built a replicate of a typical Alberta pavement and applied a series of wheel loads. The fully instrumented pavement was entirely frozen and pavement responses were collected at different frost depths. The results corroborated and reinforced the preliminary findings from the advanced modelling conducted by FPInnovations. FPInnovations would like to thank its research staff involved in this endeavor and for the continued support from the industry for our research. For more information, please contact Glen Légère, research manager of transportation and infrastructure at FPInnovations.